Eaton Powerware UPS systems focus on a single tenet that many power and electrical accessory companies don’t – confidence. 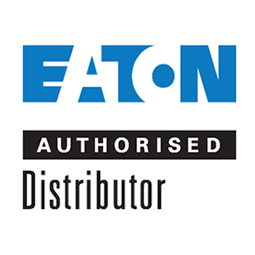 Eaton wants its customers to have confidence that problems with power will not disrupt the flow of data, confidence that adverse conditions will not compromise important systems, and confidence that operations will remain unhindered when faced with power supply issues. The teams that create Eaton Powerware UPS systems do so by learning the detailed needs of customers and answering to issues large and small. Designers and engineers have been researching and developing customer-focused power solutions for over 40 years. In that time, Eaton Powerware UPS and similar products have received critical praise and a slew of awards for business ethics, employee happiness, innovative products, and team diversity. Eaton products are top-ranked for various power product categories and have worked with small and large companies to create comprehensive solutions to power supply problems. Iridium Solutions is proud to be an official distributor of Eaton UPS systems for Iraq.